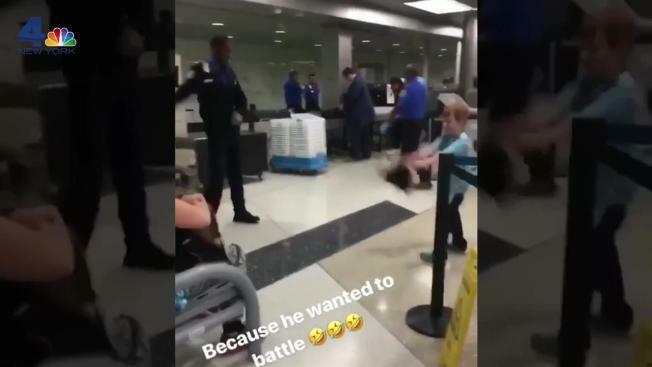 A routine TSA screening turned into a dance battle after a young boy showed off his moves as he passed through a checkpoint at Newark International Airport. The boy and his family were heading through security at the airport's Terminal B when the young traveler started to dance, according to TSA spokeswoman Lisa Farbstein. After TSA officer Joshua McCall complimented the boy’s dance moves, the boy challenged McCall to a dance-off, Farbstein said. Video captured by a bystander shows the boy toss his stuffed animal aside as he fully commits to the competition. 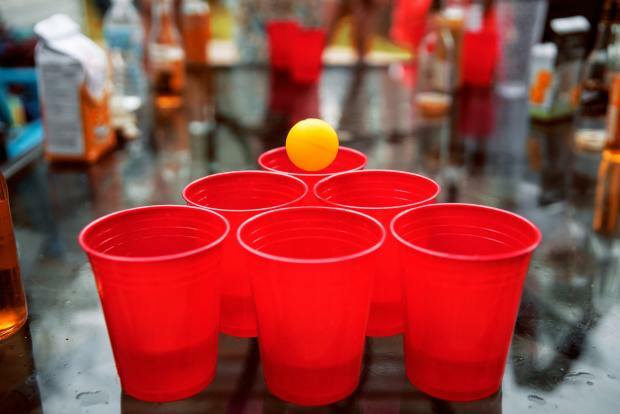 "The family was very appreciative of the TSA officer’s engagement and overall demeanor, and they requested that McCall take a group photo with the family, which, of course, he agreed to do," Farbstein said. Tom Carter, TSA’s federal security director for New Jersey, said Tuesday the agency's officers would "be happy to accept any dance challenges from passengers,” as long as they’re not too busy. “It’s a good example of the human side of our great and dedicated professionals on the front lines of homeland security,” he said.